Sergei Zhenovach was born May 15, 1957. 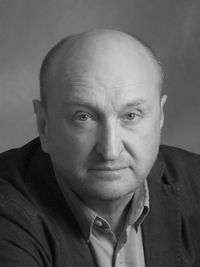 He graduated from the Directors' department of GITIS (Pyotr Fomenko's workshop) in 1988 and immediately began teaching in the same department. 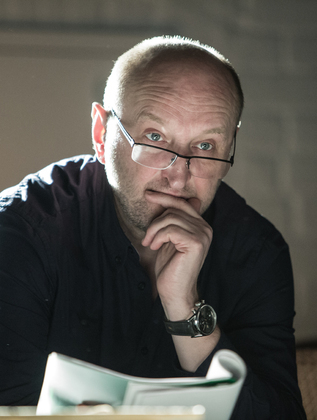 Since 2001 Zhenovach has been a professor and the artistic director in the joint directors' and actors' workshop in the Directing Department of the Russian Academy of Theatre Arts (GITIS). In 2004 he became Head of the Directing Department. From 1988 to 1991 Zhenovach worked at the Chelovek Theatre-Studio where he staged such productions as “Pannochka” by Nina Sadur after Nikolai Gogol's “Viy” (1988) and“Illusion by Pierre Corneille (1989). 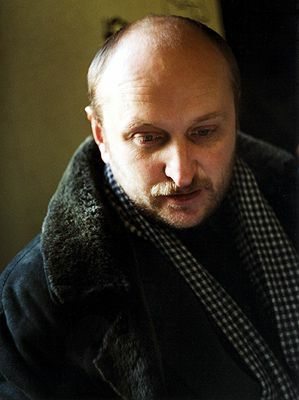 From 1991 to 1998 he worked as a director at the Malaya Bronnaya Theatre (assuming the position of Chief Director in 1996). During those years he directed “King Lear” by William Shakespeare (1992), and a theatrical trilogy,“ The Idiot (1995), based on Fyodor Dostoyevsky's novel. In 1993 the repertoire of the newly-founded Pyotr Fomenko Workshop Theatre embraced several productions staged by Zhenovach with Fomenko's students. These included “Vladimir, Third Class,” after Nikolai Gogol (1991) and “The Sound and the Fury,” after William Faulkner (1993). In 1996 he staged Ivan Turgenev’s “A Month in the Country” for the Fomenko Workshop Theatre. This production participated in the Avignon theatre festival in 1997. In 1994, 1996 and 1997 Zhenovach staged productions of plays by Anton Chekhov, Henrik Ibsen and William Shakespeare in Norway. 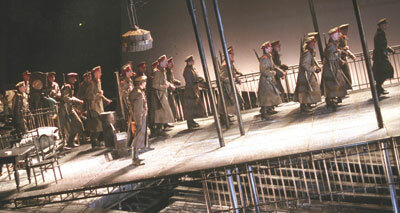 In 2000 Zhenovach director Alexander Griboedov’s “Woe from Wit” on the mainstage of the venerable Maly Theatre. Returning to the same theatre in 2002 he staged Alexander Ostrovsky’s “Truth is Good, but Happiness is Better,” which won a Golden Mask award (special prize of the jury for Best Ensemble), and the Union of Theatre Workers' Highlight of the Season award. Coming back to the Maly again in 2005, he directed Moliere’s “The Imaginary Invalid,” which won the Golden Mask in the nomination of Best Large Scale Production. 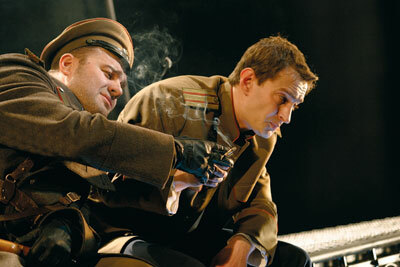 In 2004 Zhenovach staged Mikhail Bulgakov’s “The White Guard” at the Moscow Art Theatre. In November 2004 Zhenovach mounted a production called “Boys” with his students from the Russian Academy of Theatre Arts. 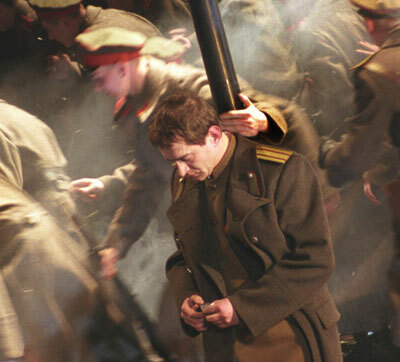 This was a dramatization of nine chapters from Fyodor Dostoevsky’s great novel, “The Brothers Karamazov.” Zhenovach won the Crystal Turandot theatre award for his direction of this production. In the spring of 2005 Zhenovach and his GITIS graduates hosted a festival — Six Plays in Waiting for a Theatre” — of all their student productions. Shortly thereafter he founded a new theatre, the Studio of Theatrical Art. In 2006 “Boys” was double nominated for Golden Mask awards — for Best Small-Scale Performance and Best Director. Some of Zhenovach’s first productions at his new theatre were “A Family in Decline,” after Nikolai Leskov's novella (awarded with Golden Masks in three nominations), 2006; “The Gamblers” by Nikolai Gogol, 2007; “The Battle for Life,” after Charles Dickens's novel (winner of the Golden Mask in the category of Best Small-Scale Production), 2008; “The River Potudan” after a short story by Andrei Platonov, 2009(winner of the Golden Mask in the category of Best Small-Scale Production); “Three Years,” after a story by Anton Chekhov, 2009; and “Notebooks” after Anton Chekhov’s diaries, 2010. 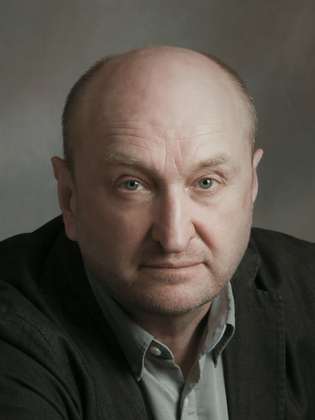 Zhenovach's style is distinguished by his attention to the author's text, and by his experimental work seeking to adapt Russian and international prose into the language of theatre.